international englisch language testing system - HAK 1 - die mit der Euroklasse! IELTS – International English Language Testing System - a global test of language proficiency for study or work in an English-speaking environment. There are two types of tests: Academic for higher education and General Training for migration purposes. Here at the HAK1 we prepare pupils for the Academic Test. IELTS tests all four language skills: listening, reading, writing and speaking. 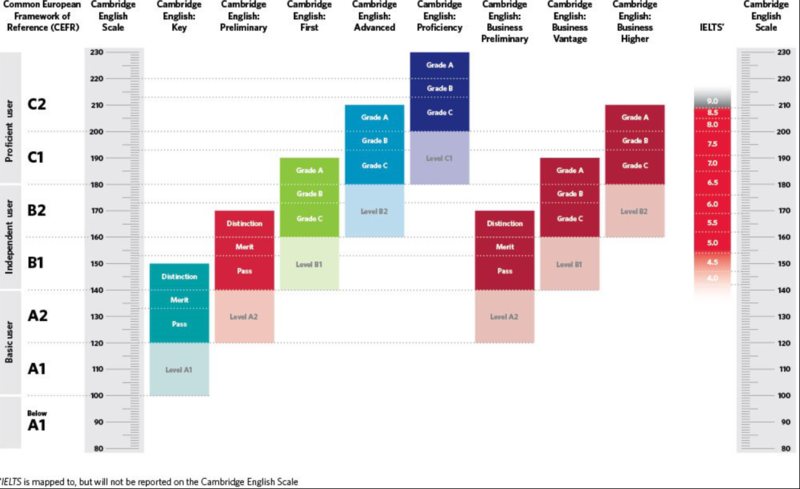 A nine band scale is used to assess the level of language proficiency achieved, from non-user (Band 1) to expert user (Band 9). This table shows how these bands relate to the CEFR scales and other Cambridge English Exams.